This quote provides much food for thought, particularly if you want to be part of the movement to make nature part of everyday urban life. In the Detroit River International Wildlife Refuge we have been championing citizen science as an important tool in bringing conservation to cities. The Refuge was established in 2001 as the only international one in North America and one of only a few truly urban refuges. It is now one of the 14 priority urban refuges in the National Wildlife Refuge System. 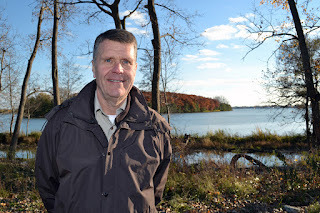 The goal of the Refuge is two-fold: to help restore and conserve continentally-significant fish and wildlife populations and their requisite habitats along the Detroit River and western Lake Erie; and to make nature part of everyday urban life to help develop the next generation of conservationists. of the three best places to watch raptor migrations in the U.S.
To help develop the next generation of conservationists, a priority has been placed on reconnecting people with nature through compelling citizen science. Good examples of involving citizens in observing and understanding nature, and contributing to conservation in our Refuge, include: DetroitRiver Hawk Watch in one of the three best places to watch raptor migrations in the U.S., marsh bird monitoring, Christmas Bird Counts, common tern restoration and monitoring, habitat restoration and enhancement work through our Refuge Stewardship Crew, and soft shoreline engineering at over 50 sites in the watershed. And all of this citizen science is being done in a refuge with nearly seven million people in a 45-minute drive. The value and benefits of this work include: developing a personal connection to the places citizens work and study; gaining an understanding of environmental and natural resource problems, challenges, and needs; learning about scientific methods and how science contributes to management; becoming involved in environmental and natural resource management decisions; building the capacity of governments, nongovernmental organizations, and other stakeholder groups to fulfill their environmental and natural resource missions; and improving scientific literacy and developing a stewardship ethic. Achieving these benefits has required effective citizen science project planning and implementation that: ensures measurable results; expands knowledge; provides meaningful experiences for volunteers; and ensure that volunteers have fun. What role does citizen science play in bringing conservation to your city and what creative citizen science efforts have you used or been involved in? So many of our north American cities are perched upon important natural landscapes. Recognizing that these places need allocations of funds and a commitment of workers during a time when these same cities are experiencing budget crises is a bit daunting. Citizen science projects bring the voters and the politicians to a personal connection that both educates and engages our emotional commitment. My local favorites are "Bee Spotter" https://beespotter.org/ through the university of Illinois with May Berenbaum, where photos and location of sitings of bumble and honey bees are collected online; and Native Seed Gardeners http://nativeseedgardeners.org Where volunteers grows rare native plants in home gardens to support conservation lands. I believe the benefits are to all are just being appreciated. John, you have many unique attributes at Detroit River IWR. Two questions. 1. What are the unique challenges of being an "international" vs. a traditional "national" wildlife refuge. 2. Are there any tips you have learned to work most effectively with urban youths (e.g., to meet them at their area of interest, interpretation challenges)? Gloria, Thanks for the compelling examples of "Bee Spotter" and "Native Seed Gardeners." Clearly, we need more examples of efforts like that that are inspiring citizens and getting people to care about natural resources right in their backyard. Mark, Working in an international wildlife refuge is challenging because of transactional costs (the number of meetings required, the time, challenges of different regulatory frameworks and cultures, etc.). However, it is really rewarding when you accomplish something like implementing the first ever fish habitat restoration project in the Great Lakes funded with both U.S. and Canadian dollars. One thing that has really worked well for us in working with urban youth is to treat our projects as opportunities for citizen science and involvement. From shoreline restoration, to wetland restoration and tree planting, we have tried to involve citizens sufficiently to have ownership of the project. 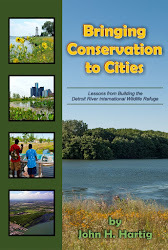 Also, working with groups like Greening of Detroit, Downriver Stream Teams and others has been very effective. Both our Youth Conservation Corps and our Greening of Detroit crew have had great leaders with outstanding people skills. 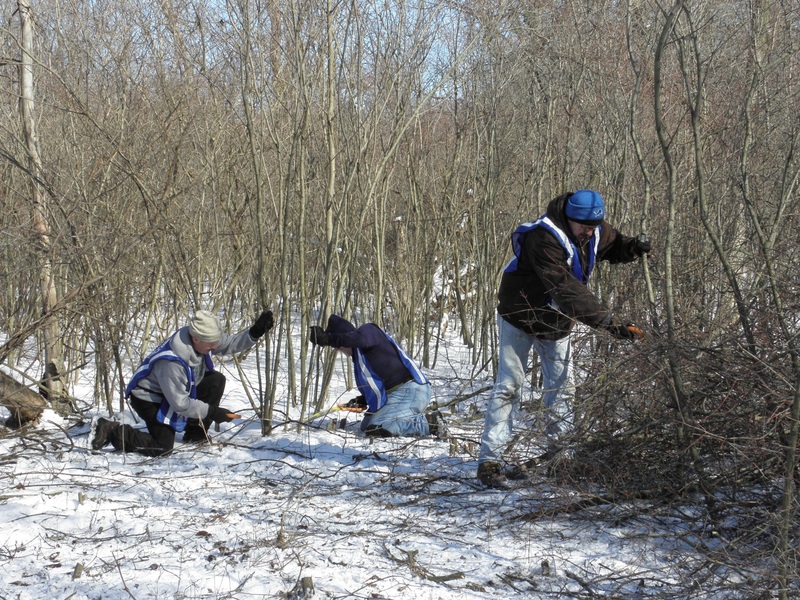 The Urban Refuges established by the US Fish and Wildlife Service should become a main focal point for bringing conservation to the urban and surrounding suburbs by offering residents the opportunities to experience the natural world that surrounds them. 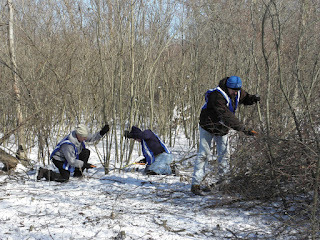 I believe this can best be accomplished by getting people involved in continuous ongoing programs and projects such as Project BudBurst, the Feederwatch program, the winter bird count, regular stewardship projects, etc. ScienceForCitizens.net aims to bring together the millions of citizen scientists in the world; the thousands of potential projects offered by researchers, organizations, and companies; and the resources, products and services that enable citizens to pursue and enjoy these activities. Simply go to the Project Finder page, pick a topic that interests you, and select the project you want to join. The NEON Citizen Science Academy, sponsored by the National Science Foundation, provides online professional development resources for educators to support effective implementation of citizen science projects and activities that focus on ecology and environmental sciences. The project is intended to be a complete professional development resource for educators and will include online courses, modules, tutorials, and a virtual community of practice. Current resources include a variety of online courses, videos, and more. The few efforts I've seen to involve students, both High School and College, in the field of 'outdoor' (get dirty) volunteerism is a good beginning. It is my belief that we have a great deal of untapped opportunity in this regard. A student exposed to the realities of the fairly intense, ground level, day-to-day work needed to counteract the effects of long term environmental abuse/neglect will always remember the lesson, and hopefully, be an advocate for avoidance, rather than repair. We all know that expensive, limited successes at repair, are much less effective, or desirable, than careful stewardship in efforts to maintain the environments we so greatly impact as members of our modern industrial society. It becomes ever-more incumbent upon us to manage our ecologically sensitive areas before it's too late. Richard, I love your description of "get dirty volunteerism." This description needs to also go with the previous post on "Becoming Part of the Community Fabric." If we are going to do a better job of preventing problems, we need have a long-term commitment to citizen science and stewardship that results in becoming part of the community fabric. John, glad to see you promoting this. There's so much potential in expanding citizen science activities to enhance our understanding of the Great Lakes Basin Ecosystem. This approach is central to the work we're planning at the Cerulean Center. For example, we're currently laying the groundwork to conduct a series of bioblitzes around the Great Lakes in partnership with other organizations as one way to engage citizens in scientific research. This kind of engagement is foundational for how we're planning to conduct our work, and goes hand in hand with an open science approach that makes data readily available. Citizen science and other ways of knowing, including local expertise and traditional/indigenous knowledge, can all benefit research efforts to collectively manage this amazing ecosystem we call home. I'm a big believer in the saying that people protect what they love and love what they know. Your work at the DRIWR is so important in keeping that connection alive for future stewards. Thanks for all you do! Lisa, Thanks for all your exceptional work on The Stewardship Network. It is a great example of institutionalizing citizen science and stewardship, and of becoming part of the community fabric. If people are not familiar with The Stewardship Network, you should really check it out. It is an outstanding model of connecting, equipping, and mobilizing people and organizations to care for the land and water. Paula, Thanks for sharing information on the Cerulean Center. Your strategic approach to conducting bioblitzes at annual conferences of the International Association for Great Lakes Research (IAGLR) using IAGLR scientists and citizens is right on target. I can't wait till IAGLR comes to Detroit in 2017 and to participate in a Canada-U.S. bioblitz! John, Thanks for your comment. You are right on track. Your thinking is consistent with the urban refuges standards that have been developed. The first one says "Know and relate to the community." See link for greater detail and more information. Detroit Audubon involved volunteers in monitoring grassland birds at Oakwoods Metropark this past June as part of a partnership with the Huron Clinton Metropolitan Authority (which runs the metroparks), which will inform habitat rsstoration efforts including future stewardship projects for even more volunteers in the next few years. More broadly speaking the Audubon Christmas Bird Counts, first established to simply counter the horrendous tradition in some places of competing to see how many bids you could kill on Christmas Day, has turned into one of the most valuable databases about bird demography that we have. For one, it has been invaluable in assessing the impact of Global Climate Change on wildlife populations. As a graduate student at the University of Michigan School of Natural Resources I helped design and establish water monitoring programs led by my professor Bill Stapp on the Huron River, Rouge River (we started with 16 schools, now the program still in operation and run by Friends of the Rouge has well over hundred schools participating). 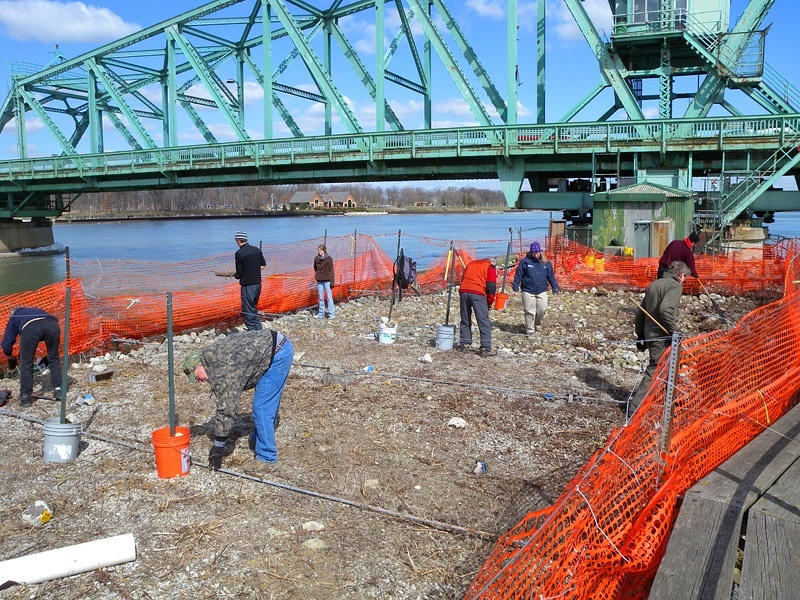 I also was hired by Bill to coordinate a similar program on the Cuyahoga River in the Cleveland-Akron area. 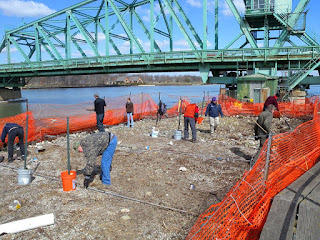 I also helped with a similar project on the Saginaw River as well. The genius of that projet was that it not only involved students collecting data, but analyzing and reflecting on it to identify problems and working to improve the problem conditions they found. Students have been successful in getting signs posted at a wind surfing area warning against body contact after significant rain, rap songs and plays to educate others, contacting the media with concerns etc. We provided skill building activities to help students learn how to lobby and educate others effectively. Being able to not only do "citizen science" but to then be able to take that data and use it to take action to improve conditions or solve problems is particularly empowering. Detroit Aububon will be looking for ways to emulate this model with a focus on bird monitoring. 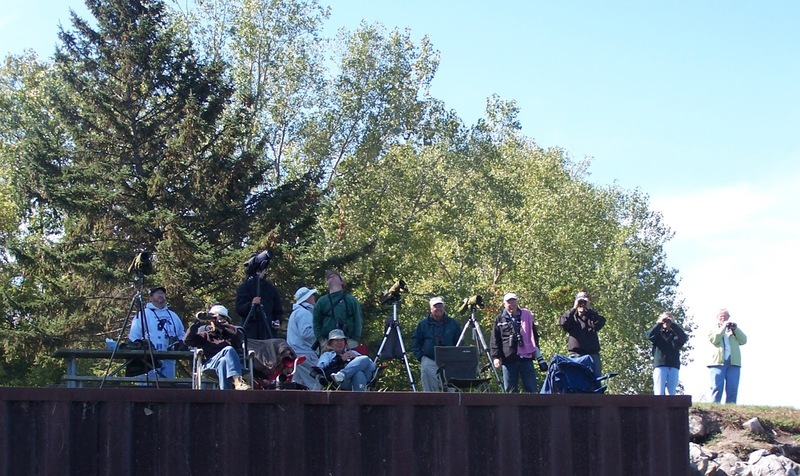 One of our next projects will be to revive and expand our Chimney Swift monitoring program and find ways to involve more members in the Black Tern monitoring project at St. Clair Flats. And we hope to be involved in oontinung efforst to foster Common Tern nesting, as a long time advocate that for now very minamed species, as it is no longer very "common" in any sense of the word. I grew up doing Citizen Science when at age 7 my Dad started taking me on bird banding expeditions with his best friend Dr. Walter P. Nickell, orinithologist at the Crabrook institute of Science. And I didn't just watch, I got involved in banding chicks at that young age too! I think we need to offer more than programs. Young people and adults of all agea are looking for ways to be involved in projects that make this world a better place--science and action--they belong together!!! Jim, Your examples are outstanding, from Christmas Bird Counts to high schools monitoring the quality of the Rouge and Cuyahoga rivers to bird monitoring at the age of seven. The Rouge River water quality monitoring program was particularly creative because students collected data on 10 water quality parameters, interpreted them, and then presented them in a forum to decision-makers. These student/citizen data were used to help make management decisions. We clearly need more of that. Urban areas, by nature of the fact that so much habitat has been lost, are great places in undertaken citizen science and stewardship projects that can improve ecosystems and help bring conservation to cities. Thanks for emphasizing that science and action belong together! Thank you Dr. Hartig for the time, effort and knowledge you have put forth to make the International Wildlife Refuge (IWR) a living university. The lessons learned from the hands on classroom will have greater impact than any textbook or video can instill. The opportunities for students, parents, families and organizations to engage nature creates a bond and lasting impact which transcends all cultural and social barriers. An appreciation and respect for nature and conservation directly relates to our appreciation and respect for our fellow humans. The many volunteer opportunities and community education programs associated with the IWR is for me the most compelling direct community and future generation link. The IWR system is sustained through various funding sources but relies on the trained conservation professional to partner/educate the local conservation enthuthiast. The work completed in the field through programming and physical work completed strenghtens the eco system as well as the community as a whole. Continue your work to create a better tomorrow for the next generation. Gary, One of the incredible assets to the Refuge is our Friends Organization called the "International Wildlife Refuge Alliance." It fulfills a very important role and we in the U.S. Fish and Wildlife Service would not be able to do our jobs without the help from the Alliance. Thank you for your leadership and vision in bringing conservation to our urban area. It is so wonderful to have corporate partners like you who understand the importance of what we are trying to accomplish for present and future generations. Thank you for highlighting this important topic! A move from traditional environmental outreach and education into the deeper realm of citizen science has resulted in better science and better understanding of and engagement in science activities over the years. 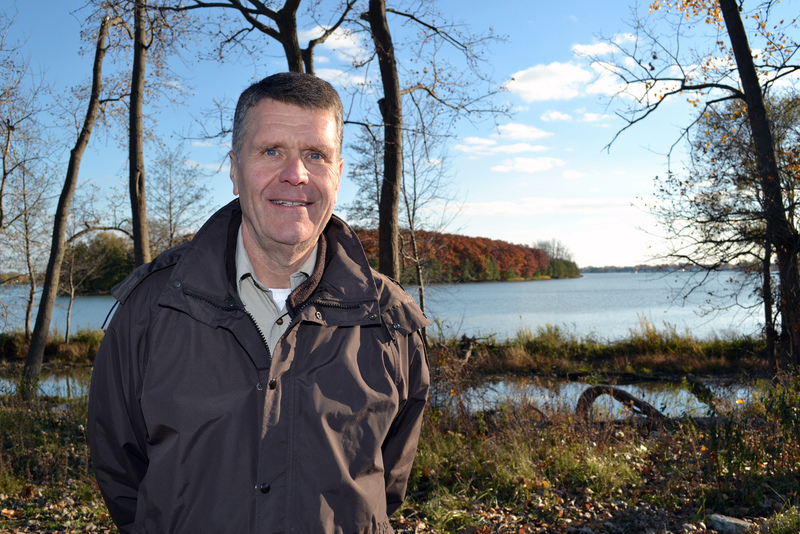 The projects you and your colleagues have undertaken at the Detroit River International Wildlife Refuge provide excellent examples of citizen science in urban areas. Citizen science has benefited a broad range of scientific discovery, from classifying galaxies (Galaxy Zoo: http://www.galaxyzoo.org/) to finding rare and non-native species. I'm chiming in to support the idea of bioblitzes (intensive biodiversity assessment of a particular location, usually over 24-48 hours) as a way for people everywhere, including urban areas, to improve our knowledge of the world and ability to manage and conserve the ecosystems we rely on. My main focus with the USFWS is to detect new non-native fishes, mollusks, and crustaceans (e.g., amphipods) in the Great Lakes before they become invasive. This may allow for management/control of new species or even creation of better policies regulating ways species enter the Great Lakes Basin. I believe bioblitz series around the Great Lakes can REALLY help improve the program I'm working on. A study published in 2014 found citizen science efforts significantly improved the ability to detect non-native terrestrial arthropods, allowing for successful control/eradication in cases. I'd love to see the same sort of thing applied to aquatic species in the Great Lakes. I encourage everyone to participate in nearby (or distant) bioblitzes. They're fun, allow all participants to improve their knowledge, and can have big impacts based on species found. I'm participating in a bioblitz this coming weekend, in fact, at the Cranbrook Institute of Science (39221 Woodward Avenue, Bloomfield Hills, MI 48303: http://science.cranbrook.edu/calendar/2015-08/bioblitz-2015). I hope to see a great turnout for that event, and I look forward to future bioblitzes around the Great Lakes, including ones at the Refuge! Steve, Thanks for emphasizing the importance of bioblitzes. Your work on how bioblitzes can help detect non-native species is so important in the Great Lakes and beyond. Bioblitzes can not only help management agencies with early detection of non-native species, but they can help citizens develop a personal connection to the places they work and study, help citizens gain a better understanding of environmental and natural resource problems and solutions, help conservation organizations build their capacity for monitoring and assessment, and help improve scientific literacy that can lead to a stewardship ethic. I can't wait to see your bioblitz being planned as part of the 2017 Annual Conference of the International Association for Great Lakes Research that is being held in Detroit. Thanks for your leadership. Thanks for sharing your valuable post with us. Very good post & helpful.